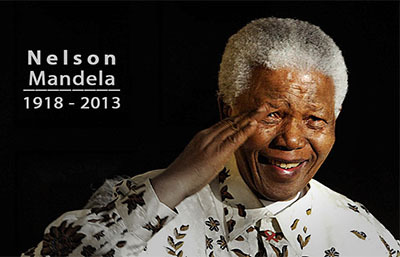 Red Cross Nordic and the whole UWC system seem to revere Nelson Mandela, a patron of the Swaziland school. (Here is a message from the Rektor upon the death of Mandela last year.) Mandela seems to symbolize the principled activism the school is trying to instill in its students. If Mandela were still alive and wanted to speak at Red Cross he would certainly be welcomed (assuming he could provide the reference/recommendation required of all first-time speakers). I'm sure his talk would be given a higher scheduling priority than my lecture or even the Queen of Norway's—which is understandable given his prestigious social status. However, this courtesy would apply only to the elder statesman, winner of the Nobel Peace Prize and hundreds of other honors, already recognized the world over as a hero. My question is whether the younger Mandela—the one actively fighting for the cause he is known for—would ever be let through the door. Let's say, before he became a recognized prize winner, Nelson Mandela put together a proposal similar to mine and a student at Red Cross Nordic submitted it to the staff. Could he expected to be treated any differently than I was? The younger Mandela had a criminal record and had advocated "armed and violent resistance" against an established government. He had only limited academic credentials and no undisputed diplomatic ones. He would have had great difficulty obtaining a reference/recommendation, at least from the established powers in his own country. We have already established that a single student being uncomfortable with a speaker is sufficient to cancel a lecture at Red Cross Nordic. In young Mandela's case, there would have probably been many objections on campus. Dr. Pedersen, upon receiving the proposal, would probably do nothing, since history to him is something in the past not the present. Dr. Robertson, being the self-appointed gatekeeper and guardian of the school's safety, would probably focus on the threat of violence posed by this foreign visitor. Does the school really want to be involved with a rumored terrorist? To protect the college from any potential danger, the Deputy Rektor would probably come up with an excuse for stopping the visit. The school's attitude would probably change after Mandela started winning global prizes for his work. Once the world agreed Mandela was a hero, officials at Red Cross Nordic would probably change their tune and welcome him, in spite of his vaguely violent past. The trouble is, once an activist starts winning prizes, their battle is usually winding down. The prize means society as whole has already accepted their position and there is little left to fight. If the younger, non-prize-winning, possibly terrorist Mandela offered to speak at a college in the USA, it would certainly cause some controversy on campus, but in all likelihood he would be allowed to speak anyway. In America, we have something called "free speech", which is seen as a cornerstone of both democracy and academic inquiry. You can't have an honest debate about something if opposing voices aren't allowed to be heard. Nothing would more outrage faculty and students on an American campus than a speaker being banned by the administration for some vague and unsubstantiated reason. Their attitude would be, "I may not agree with what you say, but I'll defend your right to say it." This philosophy may result in some people with very distasteful opinions speaking, in which case those opposed have their own free-speech right to protest or simply not attend. The fact that someone is speaking at a college does not imply the endorsement of the college, only its commitment to letting all voices be heard. In American terms, Red Cross Nordic is a "high school" not a "college", but it styles itself as a college-like institution, obeying all the rules of free inquiry of a progressive liberal arts university. It is also preparing a large portion of its students for four-year colleges in America. Why should its free-speech standards be any different than a college in the USA? To try to "protect" students from evil outside influences is ultimately condescending. Instead of welcoming alternative views, these administrators are saying, "We know best what messages you should be hearing." Please understand, I have never suggested the need to review your presentation before-hand. That is only partially true. It is true that no one at the school ever told me what I could or could not say regarding marriage. If my speech had taken place, I probably would have had complete academic freedom to say whatever I wanted. However, the topic itself was dictated by the school without any consultation with me. It was changed without my consent a mere week before I was to speak. To have a topic dictated to me without anyone consulting me is vaguely censorship-ish, and the ultimate censorship is that I wasn't permitted to speak at all. You could claim this was a special case: Issues were raised about my character, and the safety and comfort of students were at risk. Unfortunately, that is always the excuse used by despots everywhere to oppress opposing viewpoints. Listen to the Russian, Turkish or Indonesian governments when they crack down on free speech and they will usually cite the same reasoning: "We are doing this for the safety of our citizens." In my case, the school had four months to vet me in advance, to determine whether I was appropriate for their school. They had four months to decide whether my topics were relevant and interesting, and two weeks before my arrival, the World Today Committee apparently decided that they were. If I indeed posed a credible threat to students, the administration was grossly negligent in not finding it sooner. If there was no credible threat, the actions of the administration were censorship, pure and simple. We are committed to free speech, diversity of opinion and alternative viewpoints... as long as they don't make anyone on campus uncomfortable. We want you to debate world issues... but only the issues we choose within a framework we provide. We want you to fight for truth... but only a truth that the rest of the world has already accepted. We want students to participate in their own education and bring in new ideas from the outside... but we will provide no support for your proposal and you will be held fully accountable if anything goes wrong. We seek outside speakers from a variety of backgrounds... as long as they come from recognized academic and diplomatic circles we already understand. We require students to study critical thinking and observe disciplined rules of inquiry... but feel no need to apply these skills ourselves. We expect initiative, discipline and the highest intellectual standards from our students... but not from our staff. We expect students to accept responsibility for their own decisions... but we will manipulate students into taking responsibility for ours. What more can I say? I can only point out the inconsistencies; I can't force anyone to care about them. I have enjoyed writing this document. It was a good exercise, turning lemons into lemonade and extracting important philosophical issues from an insane situation, but part of me despairs over whether it will actually change anything. When I wrote my proposal in December, I never dreamed things would turn out as they did. Apparently, I was suffering from an internet delusion: I believed most of the hype I read on the school's website. I was impressed with the intelligence of the students I met in Copenhagen and thought it extended to the rest of the school. Most of the issues I have brought up in this document seemed so self-evident to me four months ago that I am surprised I have to state them explicitly. I thought the school's principles implied a commitment to free speech. The resistance I actually encountered was stunning to me and completely unexpected. Now I am ready to move on with my life! In this month-long writing project, I have recounted my experiences and stated my logical conclusions. There is little more I can do. I may fine-tune this document and respond to any new feedback that comes in, but anything more I say about the school would only delve into speculation. Since I never set foot on campus and had interactions with only a few students and staff members, it is hard to draw any further conclusions. I had my one meal at this restaurant and reported the results, so my job as a critic is over. Please let me know what you think! Everything in this document is open to revision, and I certainly want to know about anything I may have gotten wrong. I will try to keep the anonymous comment form available for as long as I can (until it is overtake by spam). In any case, you can always email me, phone me (at the number coded below) or use the Anonymous Feedback Form. No, wait! STOP PRESS! I just realized I forgot a very important topic. It's a big philosophical lesson from this whole debacle—one of the thing's that makes this document relevant to everyone on Earth. I forgot to talk about paranoia! I have no idea what will happen to this document, but I want to make sure you have a fair opportunity to respond to it and correct any errors. I value accuracy above all else, so if you see anything incorrect or unfair, please let me know. Although I don't plan any more changes to this document, everything about it remains negotiable. Please understand that I was not trying to attack your school as a whole or embarrass its students. I was simply exercising the rules of journalism that I learned in college. It would have been wrong of me to experience an injustice and NOT report it. I believe what happened to me is a reflection of defective policies and attitudes that are bound to emerge in other situations. If I were to remain silent, I would simply be condemning the unjustly accused who follow me. My role here is done. In the absence of any constructive feedback, I will return to my other writing projects. I had an unpleasant experience, reported it publicly, and stated my position as clearly as I could. There is little more I can do. I briefly considered CC'ing this email to members of the school's Board of Directors or to some of its sponsoring organizations, but then I thought "Meh! It's not my role." It is my job only to write the review and make it available, not to push it on anybody. I am obligated to notify the administrators to make sure they have a fair chance to respond, but anyone else needs to find it on their own. After devoting over a month of valuable writing time to this project, I really want to be done with it!